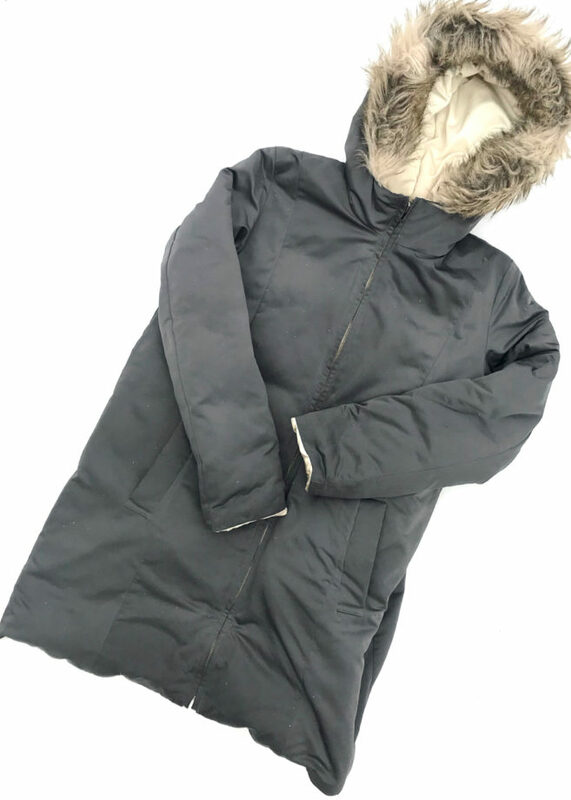 Puffer coats can be filled with down or synthetic material, both of which trap little pockets of warm air that you create with your body heat. As a general rule, down is more efficient at keeping you warm, except if it gets wet. If you’re looking for a puffer coat for below freezing temperatures, I recommend brands like Patagonia, The Northface, Marmot, Columbia or Canada Goose which tend to focus on function more than fashion. The quality of the down fill (i.e. 800-fill down), the amount of fill (i.e. 3oz) and special features (cuffs, hood, waterproof and windproof material) determine how warm the coat will be. Had I done my research three years ago, I would have purchased a Patagonia Down With It Parka which is lightweight, warm and uses reclaimed down. Instead, I bought a reversible down coat from Banana Republic as I happened to have some cardmember rewards to spend. It does keep me warm at below freezing temperatures, but it is very heavy, and the once gorgeous cream color is now stained despite several washes. 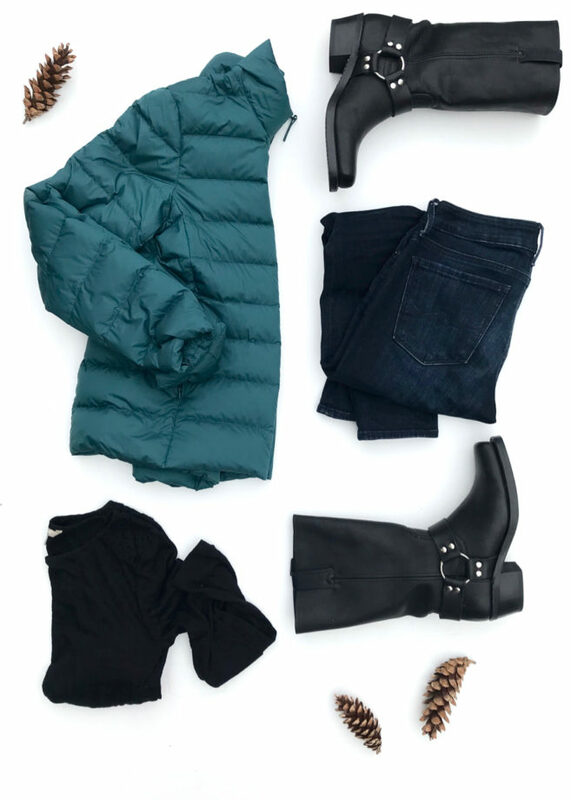 Since a puffer coat is usually an investment purchase, choose a darker color in a washable style. I also like The Northface’s Gotham Parka II as it’s nicely shaped (so you won’t look like a marshmallow) and comes with a lifetime guarantee. Everlane is more of a fashion brand than an outdoor-gear one, but their Renew Puffers are said to be suitable for temperatures as low as 15 degrees (Fahrenheit). My newest puffer coat is from Uniqlo, the Japanese clothing brand that is a little different from other fast (cheap) fashion brands. (You can read more about them in this post.) I bought this one; a lightweight, windproof, and packable coat. It comes with a pouch so that you can roll it up and toss it in a handbag. Wear it as a top-layer or underneath a heavier jacket. I wear mine when it’s around 40 degrees Fahrenheit, or when I’m active or in and out of the car on colder days. Uniqlo has a longer version as well as a vest in sizes that range from XXS to XXL. This one is currently under $60. Eddie Bauer’s Stormdown jacket is a similar style. Their website also gives you a temperature guide to help you determine how warm their jacekts are. This Marc New York packable puffer comes in 1X-3X and is currently under $30! Kate Spade’s jewel button puffer is fur trimmed and has a feminine frill at the bottom. 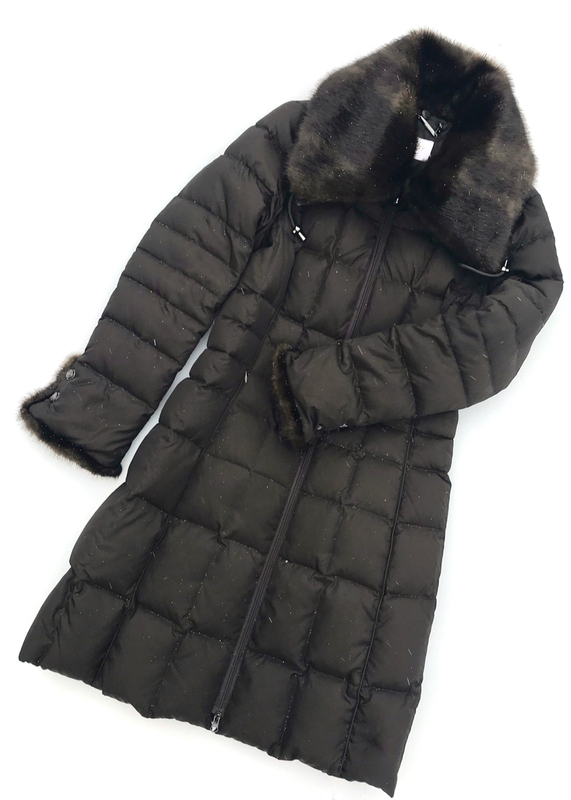 Bernardo’s faux fur trimmed puffer coat is knee length and the collar is removeable. In the past few years, it seems like almost every brand is offering some kind of puffer coat. Most of these are more fashion than function so they are probably better for warmer days. If you like to make a statement, try this metallic puffer by Marc New York. This leopard print from Kate Spade is casual but chic. Universal Standard’s wrap/cocoon coat is quite unusual. For a burst of color wear this inexpensive Rainbow puffer from TopShop. If you’re still loving fall’s favorite print, take a look at this animal print puffer from Zara. If you’re just not looking for a puffer coat, how about one of these? For more puffer coats and accessories take a look at my Pinterest boards. Comment below on the most unusual puffer coat (or accessory) that you’ve found! Have a great week, and stay warm! I didn’t think I’d love a puffer coat, but I do!